Introduced in our Cruise 2019 presentation, this lace-up is a modern take on the formal shoe. Designed to be worn with this season’s casual, colorful suiting, it’s crafted from shiny Varenne calf leather and set on a lightweight rubber sole to ensure lasting comfort. The bi-color sole and intrecciato detailing at the back add a distinct touch. 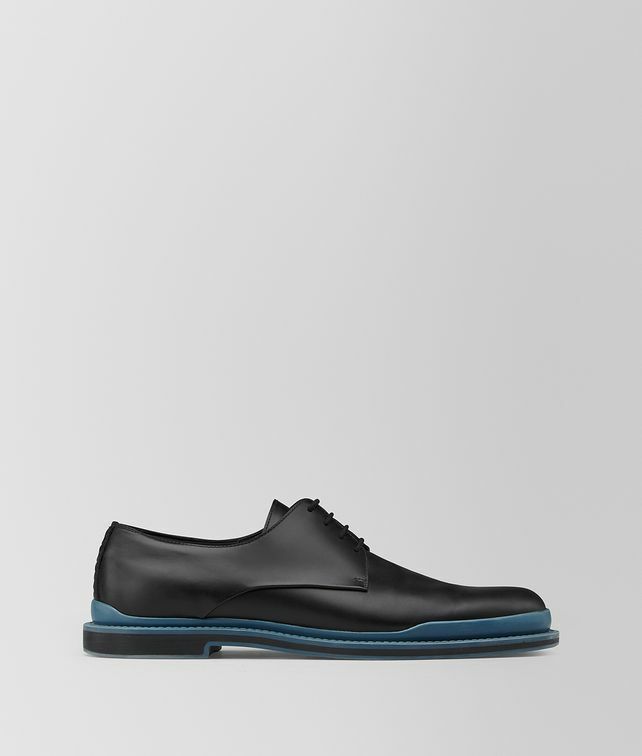 The bottom of the sole is embossed with the intrecciato motif.